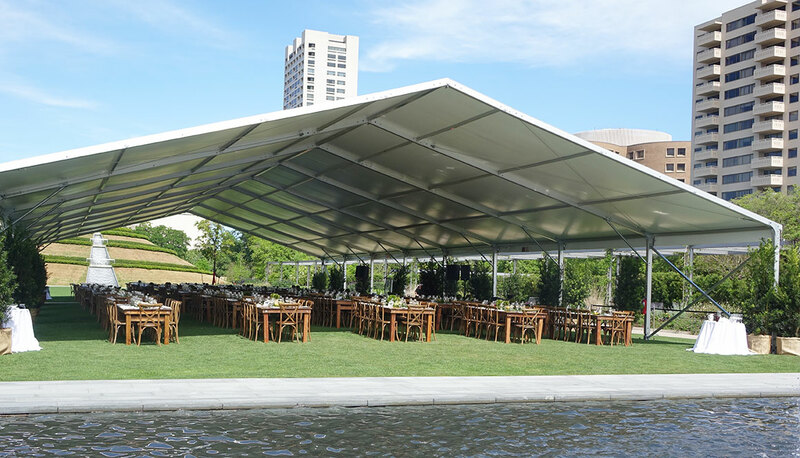 The 10th anniversary of Hermann Park Conservancy‘s “Hats in the Park” luncheon was held in a party tent in the center of McGovern Centennial Gardens on March 30, 2017. 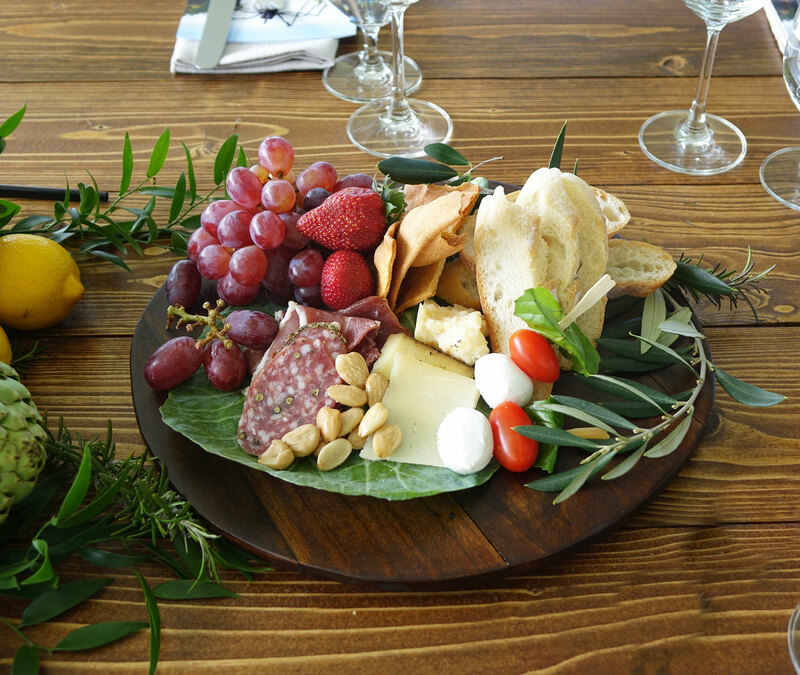 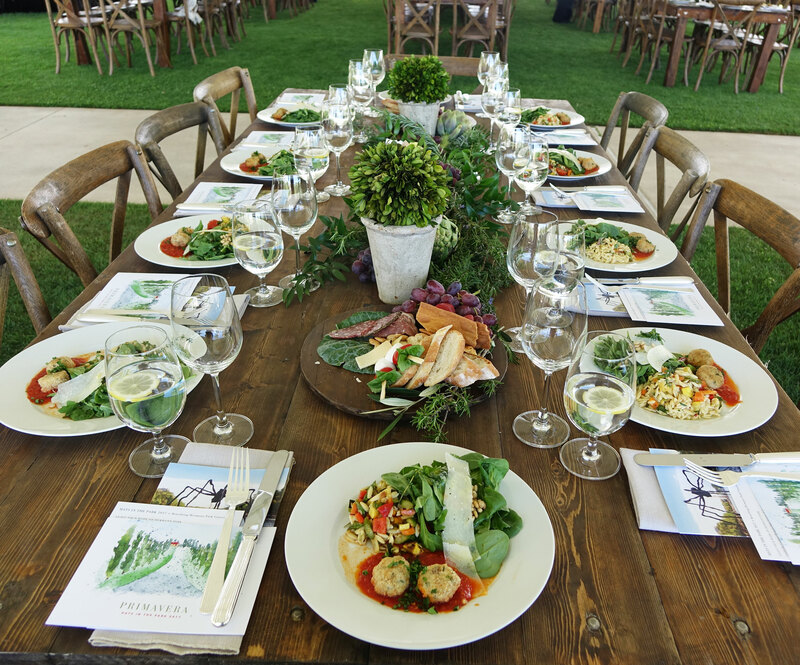 Swift + Company created the perfect table settings for the al fresco “Primavera” themed event. 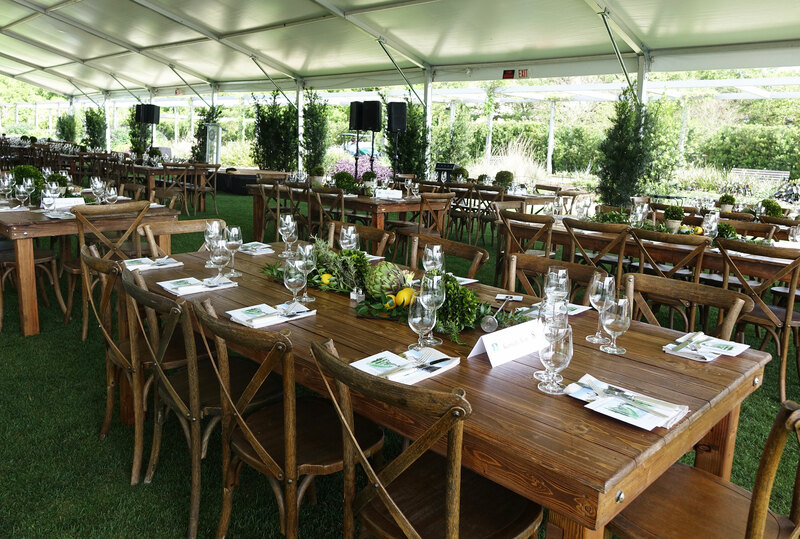 Farm tables and cross back chairs set with centerpieces of artichokes, rosemary, boxed topiaries, and platters of antipasto created the perfect ambiance. 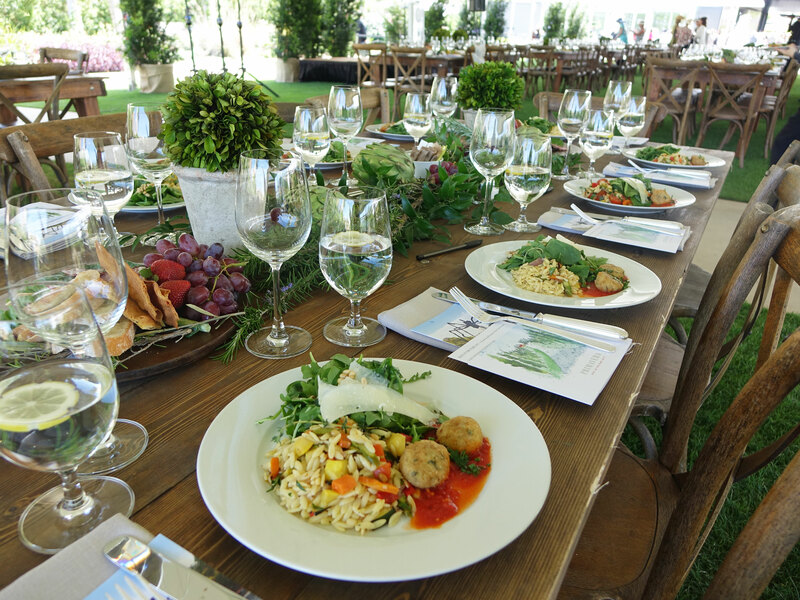 Guests were welcomed with flutes of Prosecco and Pinot Grigio and enjoyed a preset Al Fresco Lunch of Salad Of Arugula and Baby Spinach, Chicken Meatballs and Roasted Vegetable Orzo Pasta Salad. 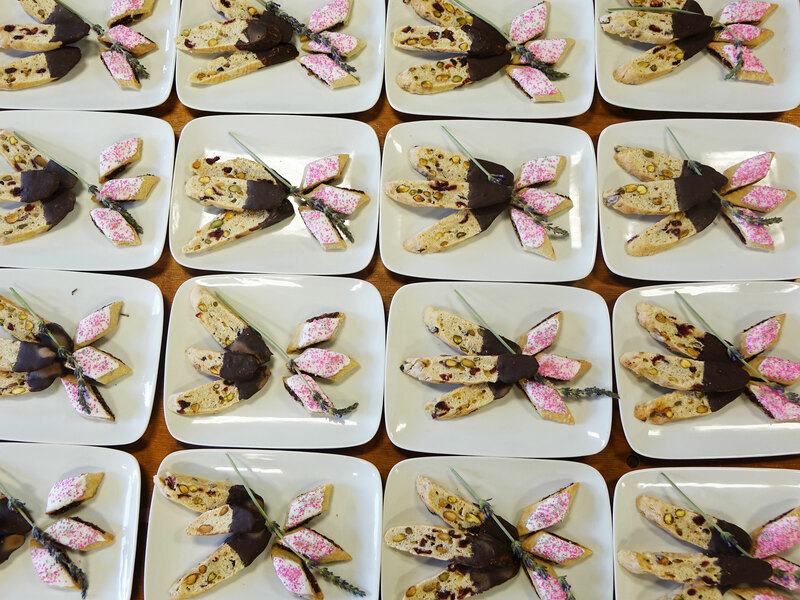 For dessert, Dried Cranberry and Pistachio Biscotti, Italian Fig “Cuccidati” Cookies were set out in the middle of the table, while Lemon Gelato and Iced Cappuccino were passed! 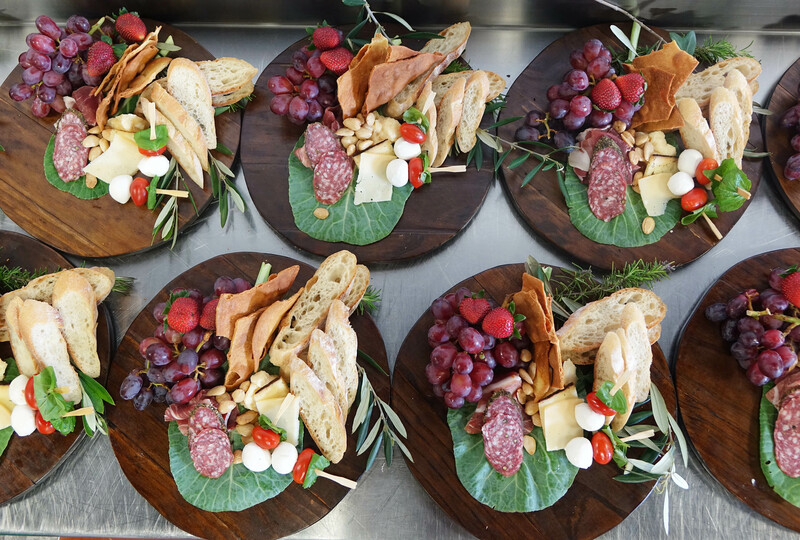 To learn more about this event, and to see pictures of all the fabulous ladies in their wide-brimmed hats, check out the coverage from Papercity Magazine and the Houston Chronicle.